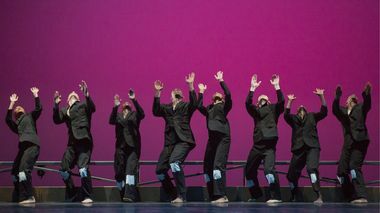 Please Credit Photo: Alvin Ailey American Dance Theater in Robert Battle's No Longer Silent. Photo by Paul Kolnik. 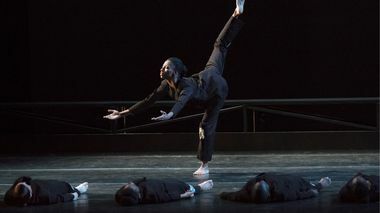 Alvin Ailey American Dance Theater dancer Jamar Roberts makes his Ailey II choreographic debut with his work Gêmeos(Portuguese for twins). 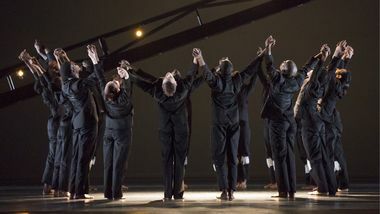 Loosely based on the relationship of Roberts and his brother growing up as children – one a dancer, the other an athlete – Roberts illustrates the dynamic between contrasting personalities and how they evolve from hostility to harmony. Using music with heavy percussion, brassy horns, groovy bass guitar, and the commanding singing style of Afrobeat star Fela Kuti, Roberts perfectly captures the energy of youth in Gêmeos. NEW YORK – January 18, 2018 — Led by Liberty City native and Artistic Director Robert Battle, Alvin Ailey American Dance Theater announces programming for celebration of a decade at the Adrienne Arsht Center for the Performing Arts of Miami-Dade County Thursday, February 22 - Sunday, February 25. 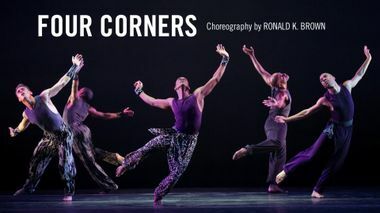 The highly-anticipated Miami engagement is co-presented by the Adrienne Arsht Center for the Performing Arts of Miami-Dade County as part of the Center’s Knight Masterworks Season - Dance Series, which is offered with support from Knight Foundation. The engagement is also supported by Ailey Tour Sponsor Bank of America. ATLANTA – January 11, 2018 — For more than four decades, Alvin Ailey American Dance Theater has dazzled audiences in Atlanta, and the Company will move the crowd once again during this year’s return to the Fabulous Fox Theatre February 14 – 18, 2018. 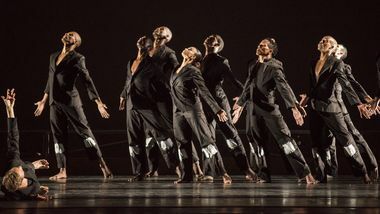 Six breathtaking performances will showcase the brilliance of Ailey’s 32 dancers, shine a spotlight on social issues with timely and topical works, and pay homage to love and legacy through two special programs: “A Night to Love” on a Valentine’s Day, Wednesday, February 14, featuring a one-night-only program of duets celebrating love; and “MLK50: Celebrating the Legacy” on Friday, February 16, honoring the life and works of Atlanta’s greatest peacemaker, Dr. Martin Luther King, Jr., as the 50th anniversary of his death approaches in April.